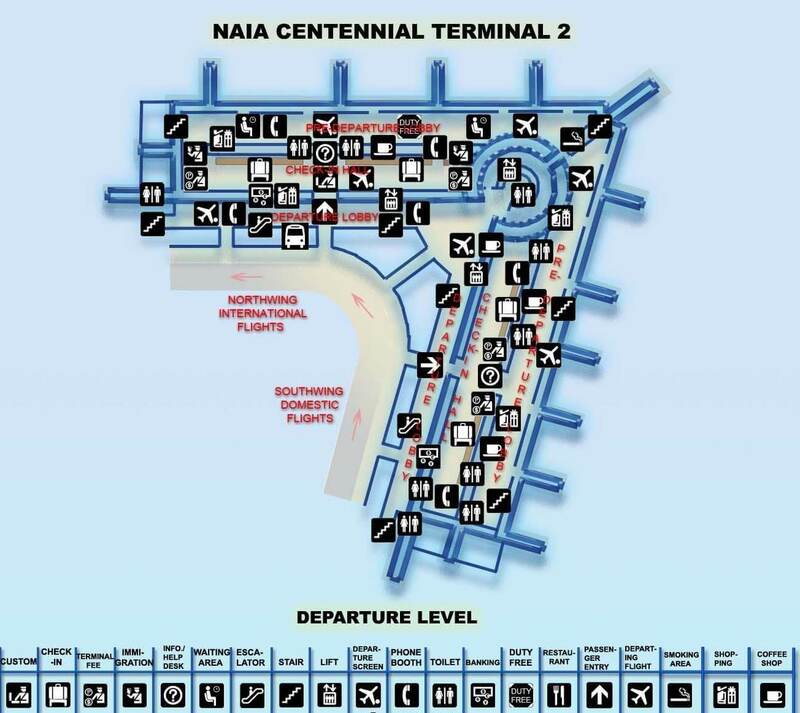 Also known as NAIA-2, was built in 1999 and is located at the Old MIA Road. The overall are of the terminal is around 75.00 square meters with the capacity of over 2.5 million and 5 million passengers in its international and domestic wings relatively. The terminal serves flights operated by Philippine Airlines and PAL Express for both international and domestic flights. Terminal 2 is ‘V’ shaped with North and South sides. The international flights are served in the Northern wing, the domestic ones, in turn, are served by the Southern wing. 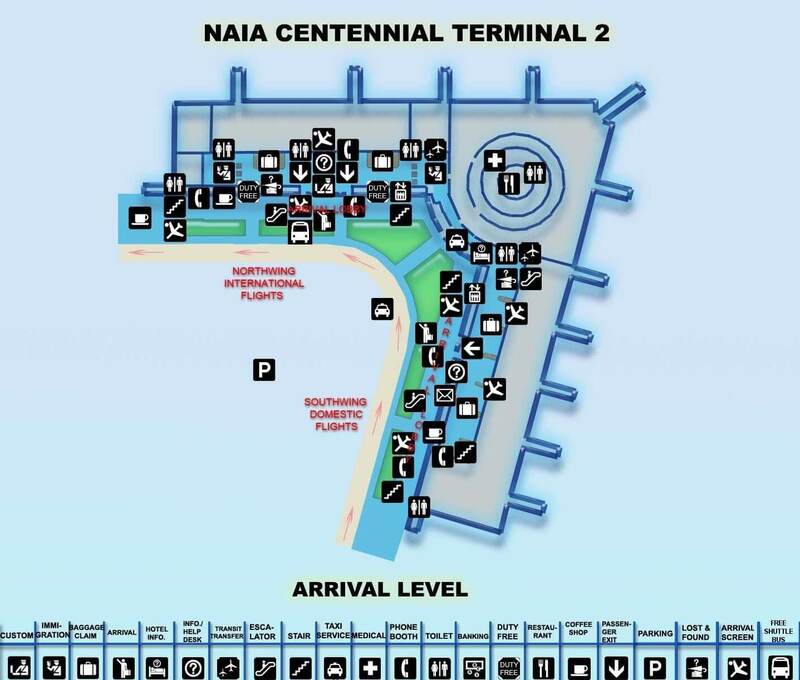 Each wing has 2 separate levels: Ground level, where the arrivals hall is located, and the Second level, where departures hall, boarding, and check-in points are located. The terminal provides 12 aerobridges to provide its passengers with even more comfort while getting on the plane. Services offered by the Terminal 2 include cafes, duty-free, restrooms, banking facilities, immigration and information desks.